PART 12: Return to the Main Page. ALLEN, ERIC. Other pseudonyms: Paul Dallas, Edwin Harrison, qq.v. BAGLEY, DESMOND. Delete incorrect reference to birth name as Simon Bagley. BALDERSTON, JOHN L(LOYD). Ref: CA. BARNSLEY, ALAN GABRIEL. 1916-1986. Pseudonym: Gabriel Fielding, q.v. BARRINGTON, CHARLES F. Pseudonym of Osgood Bradbury, ca.1798-1886, q.v. BELL, MALCOLM. Carolyn (A.) Hougan, 1943-2007. BREAM, FREDA. Patricia Freda Whale, 1918-1996. BUCKHOLTZ, EILEEN GARBER. Ref: CA. BULEY, BERNARD. Writing name of Ernest Bernhardt Buley, 1899-1973. Born in Australia; died in England. BULEY, ERNEST BERNHARDT. 1899-1973. Writing name: Bernard Buley, q.v. BURBRIDGE, NICK. 1954- . Pseudonym: Dominic McCartan, q.v. 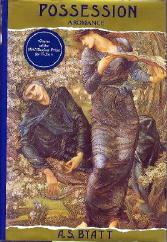 BYATT, A(NTONIA) S(USAN) (née DRABBLE). 1936- . Daughter of J. F. Drabble, 1906-1982, and sister of Margaret Drabble, 1939- , qq.v. Broadcaster, reviewer, editor, prize-winning author. Of several novels, one is included in the (Revised) Crime Fiction IV as having marginal crime content. See below. -Possession. Chatto & Windus, UK, hc, 1990; Random House, US, hc, 1990. CASE, JOHN. Carolyn (A.) Hougan, 1943-2007. CAUNTER, CYRIL F(RANCIS). Author, historian, and curator at the Science Museum, London. CERF, CHRISTOPHER (BENNETT). Ref: CA. CHANDLER, GLENN. 1953- . Ref: CA. CHANDLER, MARY LOUISE. 1945- . Pseudonym: Mary Heron Dyer, q.v. CHAPMAN, HESTER W(OLFERSTAN). Ref: CA. CHAPPELL, HELEN (C.). Ref: CA. CHASE, MARY (COYLE). Ref: CA. CHIZMAR, RICHARD T(HOMAS). Ref: CA. CHRISTENSEN, LARS SAABYE. Ref: CA. CHRISTIAN, DEBORAH. 1956- . Ref: CA. CHRISTIAN, MARY BLOUNT. Ref: CA. CHRISTIAN, REBECCA (ANNE). Ref: CA. CHRISTIANSEN, SIGURD (WESLEY). Ref: CA. CHRISTOPHER, JAY. Pseudonym of Jack Kelly. CHRISTOPHER, WENDY (PRIMROSE). 1936- . Living in South Africa. CHUDLEY, RON(ALD ALEXANDER). Ref: CA. CHURCHILL, EDWARD (DELOS). Ref: CA. CHURCHILL, ELMER RICHARD. Ref: CA. CITRO, JOSEPH A. Ref: CA. CLAREY, ALISON (A.). 1947- . CLARK, DAVID AARON. 1960- . Ref: CA. CLARK, JOSEPH (LYNN). Ref: CA. CLARK, LYDIA BENSON. Ref: CA. CLARK, MARTIN (FILLMORE, JR.). 1959- . Ref: CA. CLARK, MARY JANE (BEHRENDS). Ref: CA. CLARK, ROBERT. 1952- . Ref: CA. CLARK, ROSY LEE WINIFRED CECILIA. 1909-1992. CLARK, SALLY. Delete CA reference. CLARK, WILLIAM (DONALDSON). Ref: CA. CLARKE, ARTHUR C(HARLES). Ref: CA. CLARKE, KENNETH (LE ROY). Ref: CA. CLARKSON, GEOFFREY (PENNISTON ELLIOTT). 1934- . Ref: CA. CLASON, CLYDE B(URT). Ref: CA. CLAUS, HUGO (MAURICE JULIUS). Ref: CA. CLAUSER, SUZANNE (PHILLIPS). Ref: CA. CLAY, PATRICK (NORBERT). 1949- . CLAYTON, STANLEY. Pseudonym of Stanley Clayton Clegg, 1912-1988(?). CLEATON, IRENE (JESSUP). 1890-1977. Add middle/maiden name and make definitive corrections of both birth and death dates. Author of one work of romantic suspense listed in the (Revised) Crime Fiction IV; see below. CLEAVER, ANASTASIA (N.). 1948- . Ref: CA. CLEEVES, ANN (RICHARDSON). Ref: CA. CLEGG, STANLEY (CLAYTON). 1912-1988(?). Pseudonym: Stanley Clayton, q.v. CLEVELAND, CLIFFORD S. Ref: CA. CLINE, C(HARLES) TERRY (JR.). Ref: CA. CLOUD, DAN(IEL TUTTLE, JR.). Ref: CA. CLOVIS, AL(LEN M.). 1953- . Ref: CA. CLOWES, DANIEL (GILLESPIE). Ref: CA. COATSWORTH, ELIZABETH JANE. Ref: CA. COBB, JAMES H(ARVEY). Ref: CA. CODY, (EDWARD) MORRILL. 1901-1987. Ref: CA. COE, MARIAN. Marian Coe Zipperlin, 1931- . Ref: CA. COFFEY, FRANK (D.). Ref: CA. COGHLAN, MARGARET M. Ref: CA. COHEN, ARTHUR A(LLEN). Ref: CA. COHEN, JON (S.). Ref: CA. COLBERT, JAIMEE WRISTON. Ref: CA. COLE, M(ARGARET ALICE). Ref: CA. COLEMAN, CLAYTON W(EBSTER). Ref: CA. COLEMAN, REED FARREL. Ref: CA. COLERIDGE, M(ARY) E(LIZABETH). Ref: CA. COLERIDGE, NICHOLAS (DAVID). Ref: CA. COLES, CYRIL HENRY. Ref: CA. COLICCHIO, JOSEPH. 1952- . Ref: CA. COLLIER, RICHARD (HUGHESON). Ref: CA. COLLIGNON, RICK [i.e., Richard T. Collignon] Ref: CA. COLLINS, JUNE. 1935- . Ref: CA. COLLINS, MICHAEL. 1964- . Ref: CA. COLLINS, ROBERT G(EORGE). Ref: CA. COLLINS, TESS [i.e., Teresa Collins]. 1957- . Ref: CA. CONNINGTON, J. J. Ref: CA. CONROY, RICHARD TIMOTHY. 1927- . CONTERIS, HIBER (JUAN). 1933- . CONWAY, ROSALEEN (D.). Ref: CA. COOK, NICK. 1959- . Ref: CA. COONEY, ELEANOR. 1948- . Ref: CA. COOPER, COLIN (SYMONS). Ref: CA. COOPER, (ALFRED) DUFF. Ref: CA. COOPER, JILLY (SALLITT). Ref: CA. COOPER, LOUISE (FIELD). Ref: CA. COOPER, LYNDA SUE. Ref: CA. CORBETT, (WINFIELD) SCOTT. Ref: CA. CORLETT, WILLIAM (ALBERT). 1938-2005. Ref: CA. CORMIER, ROBERT (EDMUND). Ref: CA. CORRINGTON, JOYCE (HOOPER). 1936- . COSE, ELLIS (JONATHAN). Ref: CA. COSIN, ELIZABETH (M.). Ref: CA. COSTELLO, MATTHEW J(OHN). Ref: CA. COSTOPOULOS, WILLIAM C(ONSTANTINO). Lawyer in Pennsylvania. COUFFER, JACK C. Ref: CA. COTTERILL, COLIN. 1952- . Ref: CA. COULUMBIS, AUDREY (PEYTON). Ref: CA..
COUPERUS, LOUIS (MARIE ANNE). Ref: CA. COURSEN, H(ERBERT) R(ANDOLPH, JR.). Ref: CA. COYLE, BEVERLY (JONES). 1946- . Ref: CA. CRANE, FRANCES (KIRKWOOD). Ref: CA. CRANE, TERESA (LOUISE). 1938- . CRAWFORD, ALEXANDER. Pseudonym of Alexander Lindsay, 1869-1915. CRESSWELL, JASMINE (ROSEMARY). Ref: CA. CRISPIN, A(NN) C(AROL). Ref: CA. CRONIN, GEORGE P. Ref: CA. CROSS, IAN (ROBERT). Ref: CA. CROVITZ, ELAINE (Sandra Kobrin) 1936- . CRUMBLEY, D(ONALD) LARRY. 1941- . Ref: CA. CRUMEY, ANDREW (DAVID WILLIAM BERNARD). Ref: CA. CRUMP, BARRY (JOHN). 1935-1996. Ref: CA. CRUMP, PAUL (ORVILLE). Ref: CA. CRUNDEN, ROBERT MORSE. 1940-1999. Ref: CA. CURRIE, BARTON W(OOD). Ref: CA. CURRY, JOHN A(NTHONY, JR.). 1934- . CURTIS, JEAN LOUIS. Ref: CA. CUSHMAN, CLARISSA (WHITE) FAIRCHILD. Ref: CA. CUSICK, RICHIE TANKERLEY. Ref: CA. DALLAS, PAUL. Pseudonym of Eric Allen-Ballard, 1908-1968. Other pseudonyms: Eric Allen, Edwin Harrison, qq.v. DALRYMPLE, THEODORE. Pseudonym of Anthony Daniels, 1949- . DALY, CARROLL JOHN. Ref: CA. DANIELS, ANTHONY. 1949- . Pseudonym: Theodore Dalrymple, q.v. DARNTON, JOHN (TOWNSEND). Ref: CA. DAVID-NEEL, ALEXANDRA (LOUISE EUGENIE MARIE). Ref: CA. DAVIDSON, DIANE MOTT. Ref: CA. DAVIDSON, MAX. Pseudonym of David Robson, 1955- . Ref: CA. DAVIS, ANDREW JACKSON. Ref: CA. DAVIS, CAROL ANNE. Ref: CA. DAVIS, MAGGIE (HILL). 1925- . DAVIS, TIMOTHY G. Ref: CA. DAVIS, VICTOR (LIONEL). Reporter, columnist and editor in London. DE BONO, DOUGLAS. Ref: CA. DE BOSSCHERE, JEAN. Ref: CA. DECKER, DUANE (WALTER). Ref: CA. DE GRAZIA, EDWARD. Ref: CA. DELAMAIDE, DARRELL (GEORGE). Ref: CA. DELANEY, EDWARD J. Ref: CA. DELATUSH, EDITH (G.). Ref: CA. DELFFS, D(UDLEY) J. 1964- . DE LIMA, SIGRID. 1921-1999. Ref: CA. DE LINT, CHARLES (HENRI DIERICK HOEFSMIT). Ref: CA. DELO, DAVID M(ICHAEL). Ref: CA. DE MADARIAGO, SALVATORE [SALVATORE DE MADARIAGO Y ROJO]. 1886-1978. Ref: CA. DEMAREST, PHYLLIS GORDON. 1911-1969. Ref: CA. DE MAUNY, ERIK (CECIL LEON). 1920- . Ref: CA. DE MONTFORT, GUY. Donald McIntosh Johnson, 1903-1978. DE MORGAN, WILLIAM (FREND). Ref: CA. DENHAM, ALICE. 1933- . Ref: CA. DENZER, PETER W(ORTHINGTON). Ref: CA. DE POY, PHILLIP (JOHN). Ref: CA. DERN, EROLIE PEARL GADDIS. 1895-1966. Pseudonyms: Peggy Dern, Peggy Gaddis, qq.v. Ref: CA. DERN, PEGGY. Pseudonym of Erolie Pearl Gaddis Dern, 1895-1966. Other pseudonym: Peggy Gaddis, q.v. DESSART, GINA [GINA DESSART HILDRETH]. 1912-1979. DE STEFANO, SAL(VATORE A.). 1956- . DIAMOND, ANN. Pseudonym of Anne Julia McLean, 1951- . DICKENS, CHARLES (JOHN HUFFAM). Ref: CA. DICKEY, JAMES (LAFAYETTE). Ref: CA. DICKINS, BARRY (LEONARD). Ref: CA. DICKINSON, RICHARD H(UNT). Ref: CA. DICKSON, GORDON R(UPERT). Ref: CA. DIETZ, WILLIAM C(OREY). Ref: CA. DI FILIPPO, PAUL. Ref: CA. DILLON, MILLICENT (GERSON). Ref: CA. DILTZ, HANSON PENN. ca.1856- . DIVOMLIKOFF, LAVR. Pseudonym of Vladimir Volkoff, 1932-2005, q.v. DOBLER, BRUCE (GARSIDE). Ref: CA. DOBSON, CHRISTOPHER (JOSEPH EDWARD). 1927- . Ref: CA. DOBSON, JOANNE (ABELE). Ref: CA. DOBSON, MARGARET (JUNE). Ref: CA. DOKEY, (MARY) CAMERON. Ref: CA. DONALDSON, (CHARLES) WILLIAM. 1935-2005. Ref: CA. DOOLING, RICHARD (PATRICK). Ref: CA. DORIAN, EDITH M(cEWEN). Ref: CA. DORR, MARY (WRIGHT) [MARY WRIGHT DORR GORDON]. 1918-2004. Moderated or produced more than 5,000 radio and television programs, won many awards, and with Gordon Gordon founded the International Angel Awards for creators of media in all forms with outstanding moral, spiritual or social impact; married mystery writer Gordon Gordon after the death of his first wife. DOSS, JAMES D(ANIEL). Ref: CA. DOUGLAS, JOHN E. Ref: CA. DOUGLAS, LAUREN WRIGHT. Ref: CA. DOUSE, ANTHONY (CLIFFORD). 1939- . DRACUP, ANGELA. 1943- . Ref: CA. DRAGO, (HENRY) SINCLAIR. Ref: CA. DRAKE, LEE. Former consultant to police departments; living in South Dakota. DRAPER, ROBERT. 1959- . Ref: CA. DREXLER, JAMES A(LLEN). 1948- . DRURY, JOAN M. Ref: CA. DRUXMAN, MICHAEL B(ARNETT). Ref: CA. DUBENS, EUGENE (MICHAEL). Ref: CA. DU BRUL, JACK B. 1968- . Ref: CA. DUBUS, ANDRE, III. Ref: CA. DU CANN, C(HARLES) G(ARFIELD) L(OTT). 1889-1983. Ref: CA. DUFF, GERALD (ALDINE). Ref: CA. DUFRESNE, JOHN (LOUIS). 1948- . Ref: CA. DUNCAN, GLEN. 1965- . Ref: CA. DUNCAN, PATRICK SHEANE. 1947- . Ref: CA. DUNCAN, PETER. Butler M. Atkinson, 1918-1994. DUNCAN, WANDA (LOUISE). 1921- . DUNNE, H(ARRY) P(OWERS, JR.). 1942-1996. DURHAM, GUY (FLOYD). 1937- . DYER, CHARLES RAYMOND. Ref: CA. DYER, MARY HERON. 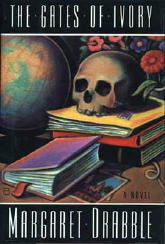 Pseudonym of Mary Louise Chandler, 1945- . DYMMOCH, MICHAEL ALLEN. Ref: CA. DYSON, JOHN (ANTHONY). Ref: CA. ECCLES, MARJORIE. 1927- . Ref: CA. ECKERT, ALLAN W(ESLEY). Delete CA reference. EDMONDS, I(VY) G(ORDON). Ref: CA. EDMONDSON, G. C. Ref: CA. EDWARDS, PAGE (LAWRENCE, JR.). 1941-1999. Ref: CA. EGAN, GREG(ORY MARK). Ref: CA. EHRLICH, J(ACOB) W(ILBURN). Ref: CA. EKERT-ROTHOLZ, ALICE (MARIA AUGUSTA). Ref: CA. EKWENSI, CYPRIAN (ODIATU DUAKA). Ref: CA. ELDRED-GRIGG, STEVEN (TRELEAVEN). Ref: CA. ELLIS, BRET EASTON. Ref: CA. ELLISON, RALPH (WALDO). Ref: CA. ELVESTAD, SVEN . Pseudonym of Kristofer Elvestad Svensen, 1884-1934. ELWARD, JAMES (JOSEPH). Ref: CA. ELWIN, (FRANK) MALCOLM. 1903-1973. Ref: CA. EMERSON, SALLY [SALLY EMERSON STOTHARD]. Ref: CA. EMMET, E(RIC) R(EVELL). Ref: CA. ENRIGHT, NICHOLAS (PAUL). 1950-2003. Ref: CA. ENSOR, (ALICK CHARLES) DAVID(SON). 1906-1987. Ref: CA. ERVINE, ST. JOHN (GREER). Ref: CA. EVAIN, ELAINE (NEWELL). Ref: CA. EVANS, GERALDINE. 1953- . Ref: CA. FAIRFAX, BLAKEBOROUGH J(OHN FREEMAN). Ref: CA. FAIRFIELD, ROY P(HILLIP). Ref: CA. FAIRSTEIN, LINDA A. 1947- . Ref: CA. FALCONER, HELEN. 1958- . Ref: CA. FALERO, FRANK (JR.). Ref: CA. FALLIS, GREG(ORY S.). 1951- . Ref: CA. FARRER, (BRYAN) DAVID. 1906-1983. Ref: CA. FARRER, KATHARINE (DOROTHY NEWTON). Ref: CA. FAST, JONATHAN (DAVID). Ref: CA. FAULKS, SEBASTIAN (CHARLES). Ref: CA. FAWCETT, F(RANK) DUBREZ. Ref: CA. FEARING, KENNETH (FLEXNER). Ref: CA. FELDMAN, ELLEN (BETTE). Ref: CA. FELLOWS, OSCAR L(EE). Ref: CA. FENNELLY, PARKER (W.). Ref: CA. FERGUSSON, BRUCE CHANDLER. Ref: CA. FERONE, JOSEPH. 1942- . Ref: CA. FETHERLING, DOUG(LAS GEORGE). Ref: CA. FIELDING, GABRIEL. Pseudonym of Alan Gabriel Barnsley, 1916-1986. FIELDING, KATE. 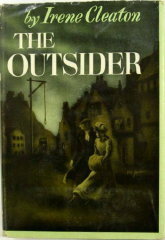 Pseudonym of Jenny Oldfield, 1949- , q.v. FIELDS, RANULPH (TWISLETON-WYKEHAM). Ref: CA. FINCH, ROBERT (DUER CLAYDON). 1900-1995. Ref: CA. FINDLAY, DONALD (RUSSELL). 1951- . FINK, STEVEN (B.). Ref: CA. FINLEY, MARTHA (FARQUHARSON). Ref: CA. FINLEY, SCOTT. Rosy Lee Winifred Cecilia Clark, 1909-1992. FINN, JOAN LOCKWOOD. Delete death date. FISHER, NORMAN (GEORGE). Ref: CA. FITZGERALD, KITTY. 1946- . Ref: CA. FLEMING, VICTOR A(NSON). Lawyer in Arkansas. FLOKOS, NICHOLAS. 1930- . Ref: CA. FLORMAN, JEAN (CLAIRE). 1952- . FLOWERS, R(ONALD) BARRI. Ref: CA. FREEMAN, MARY E(LEANOR) WILKINS. 1882- . FRITH, MICHAEL K(INGSBURY). 1941- . FULLER H(AROLD) E(DGAR). 1916-1977. Worked for Customs and Excise; lived in Nottinghamshire for many years. GADDIS, PEGGY. Pseudonym of Erolie Pearl Gaddis Dern, 1895-1966. Other pseudonym: Peggy Dern, q.v. GALLOWAY, DAVID. 1931- . Pseudonym: David Hume (author of “Outback”). GEIS, RICHARD ERWIN. Ref: CA. GLASBY, JOHN S(TEPHEN). Ref: CA. GLICK, RUTH BURTNICK. Ref: CA. HORROCK, NICHOLAS (MORTON). Ref: CA. KALPAKIAN, LAURA ANNE. Ref: CA. KELLY, JACK. Pseudonym: Jay Christopher, q.v. KIERAN, JAMES (Michael, Jr.) 1901-1952. Correcting dates, giving name in full. Press secretary for Mayor Fiorello LaGuardia in the 1930s. KUBE-McDOWELL, MICHAEL (PAUL). Ref: CA. LAMBERT, LEE. Pseudonym of Gordon Mingay, 1923-2006, a leading economic and social historian, the first Professor of Agrarian History in Britain, with a doctorate from Nottingham University. LENEGHAN, FRANK. Served in Germany during Allied occupation of Berlin. LINDSAY, ALEXANDER. 1869-1915. Pseudonym: Alexander Crawford, q.v. LINDSAY, DAVID T. Delete dates. McCARTAN, DOMINIC. Pseudonym of Nick Burbridge, 1954- . McLEAN, ANNE JULIA. 1951- . Pseudonym: Ann Diamond, q.v. MILLER, (H.) BILL(Y). Ref: CA. MINGAY, GORDON. 1923-2006. Pseudonym: Lee Lambert, q.v. MORWOOD, PETER. Pseudonym of Robert Peter Smyth (or Smith), 1956- . Ref: CA. OLDFIELD, JENNY. Pseudonym: Kate Fielding, q.v. PAGE, NORVELL WOOTEN. Ref: CA. PENTONEN, CARLA FRIEDENBERG. Ref: CA. RAMSEY, GUY (HAYLETT WALKER). 1900(?)-1959(?). REID, GEORGINA. Pseudonym of Muriel Slater. ROBSON, DAVID. 1955- . Pseudonym: Max Davidson, q.v. SLATER, MURIEL. Pseudonym: Georgina Reid, q.v. SMITH, SURREY. William (David) Dinner, 1906-1997. SMYTH, ROBERT PETER. 1956- . Last name also given as Smith. Pseudonym: Peter Morwood. See: Diane (Elizabeth) Duane. STEEL, FLORA ANNIE (WEBSTER). 1847-1929. SVENSEN, KRISTOFER ELVESTAD. 1884-1934. Pseudonym: Sven Elvestad, q.v. SWANTON, MOLLY BUTLER. Ref: CA. SWATRIDGE, IRENE MAUDE MOSSOP. Ref: CA. VOLKOFF, VLADIMIR. Pseudonym: Lavr Divomlikoff, q.v. VON BLOCK, BELA WILLIAM. Ref: CA. 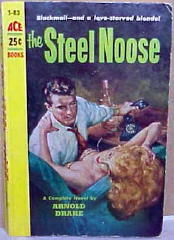 WALLER, LESLIE Joint pseudonym with Arnold (Jack) Drake, 1924-2007, q.v. : Drake Waller, q.v. WRENN, H(AROLD) A(LBERT). Headmaster of Wellingborough Grammar School. ZIPPERLIN, MARIAN COE. 1921- . Copyright © 2007 by Allen J. Hubin.